The blessing on this Irish pocket token is the sentiment of the Claddagh: Friendship, Loyalty, Love. This Irish charm features the Claddagh along with Celtic knot-work on both sides. 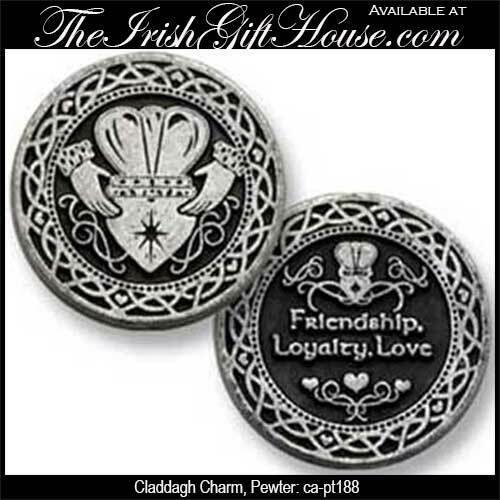 The Claddagh pocket token is made of pewter and measures 1 1/8" diameter. The Irish pocket token is enhanced with a dimensional embossed design.